Sneaking through tiny cracks and crevices where no normal human being could possibly venture, the little plastic heroes are helping Edinburgh Police stop more villainous reprobates in their tracks. While they might not actually be on the front line of crime fighting, Lego men and women are being employed by Operation RAC to raise awareness and spread information about targeting housebreaking. Following a spate of thefts, police have assembled miniature scenes with the plastic figures, showing how the people of Edinburgh can keep their property safe. The tableaux are accompanied by handy poems to explain the safety features. Operation RAC hopes to drive out a group of 40 suspected burglars. 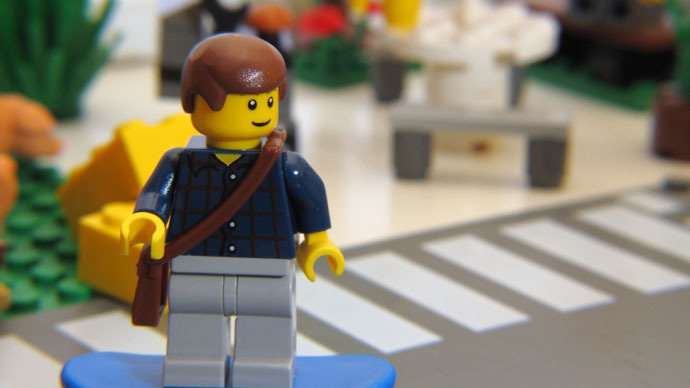 A Police Scotland spokesman said Lego was used as it is a “universally recognizable” item which connects with the public. “Social media is an important tool for communicating with the public and allows us to provide vital information on crime prevention and advice on keeping safe,” he added.